Londonist is the exclusive media partner of National Maritime Museum. What's it like to undergo an operation without anaesthetic, survive the Great Fire of London, and bunk off school to see the execution of a king? One person who knew was famous London diarist Samuel Pepys. His writings bear witness to life in Stuart Britain, from the destruction of the city as a result of plague and the Great Fire of London to the world city which rose from the ashes. Now National Maritime Museum is putting together the largest ever exhibition about the great man himself. 200 objects from national and international museums, galleries and private collections will be on display in the museum's Samuel Pepys: Plague, Fire, Revolution exhibition, opening on 20 November. The exhibition places this fascinating Londoner within a broader historical context, beginning at the moment a schoolboy Pepys played truant to witness the execution of King Charles I in 1649, through his life as a socialite, a gossip and an important naval figure. Items on display include 17th century medical instruments like those used when Pepys underwent an operation to remove a bladder stone the size of a snooker ball without anaesthetic or antiseptic. The exhibition will also display the famous Portrait of Charles II in Coronation Robes, as well as one of his love letters to his mistress Louise de Kéroualle. The focus is also on the dawn of the scientific revolution (Pepys was president of the Royal Society when Newton’s Principia Mathematica was published) and events of the Glorious Revolution, which resulted in the overthrow of Pepys’s great patron, James II. Sound good? Londonist is exclusive media partner to National Maritime Museum, and Londonist readers can get a 15% discount on tickets using the discount code below — but hurry, the offer is only valid until 2 November. 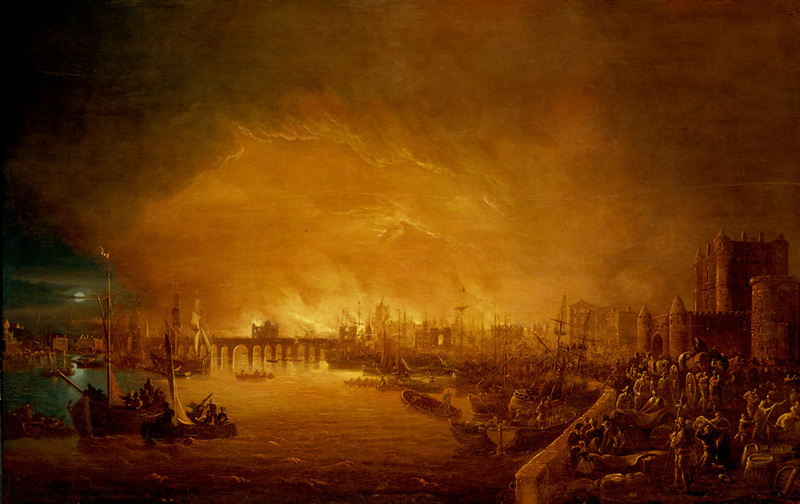 Samuel Pepys: Plague, Fire, Revolution is at National Maritime Museum in Greenwich 20 November 2015–28 March 2016. Tickets are £12 adult/£6 child. Book tickets online before 2 November and quote discount code ‘LONPEPYS’ at the checkout for a 15% Londonist reader discount.